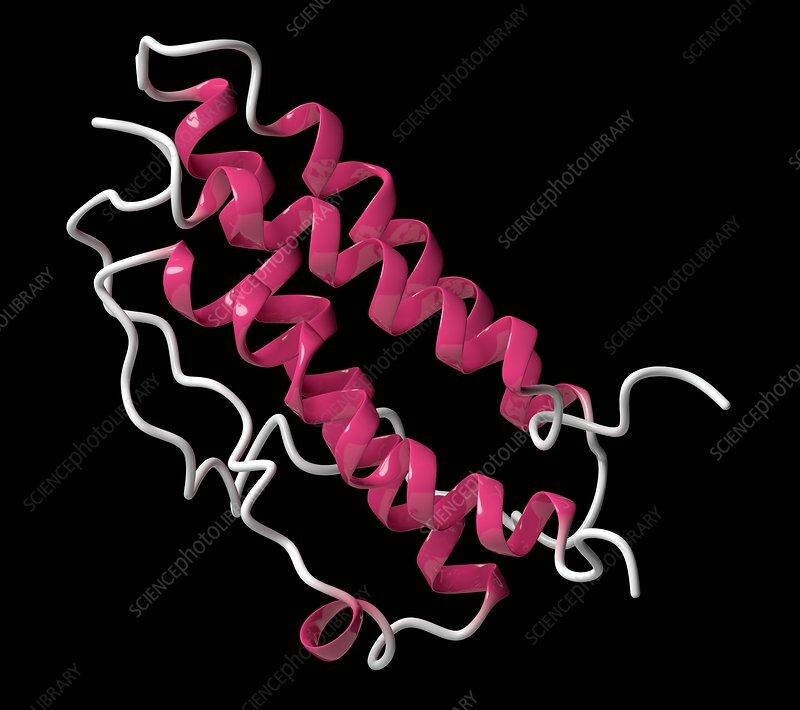 Erythropoietin (human EPO, epoetin) protein hormone. Stimulates production of red blood cells. Used as medicine and in sports doping. Cartoon model, secondary structure colouring (helices pink).